NEPC hosted their 12th Annual Defined Contribution Plan & Fee Survey Webinar. 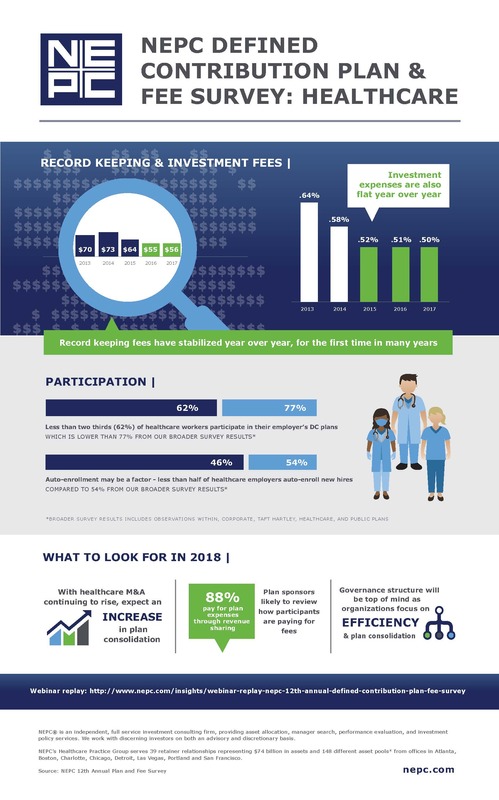 The below infographic covers Healthcare findings from the survey as well as "What to Look for in 2018." Download the infographic here.